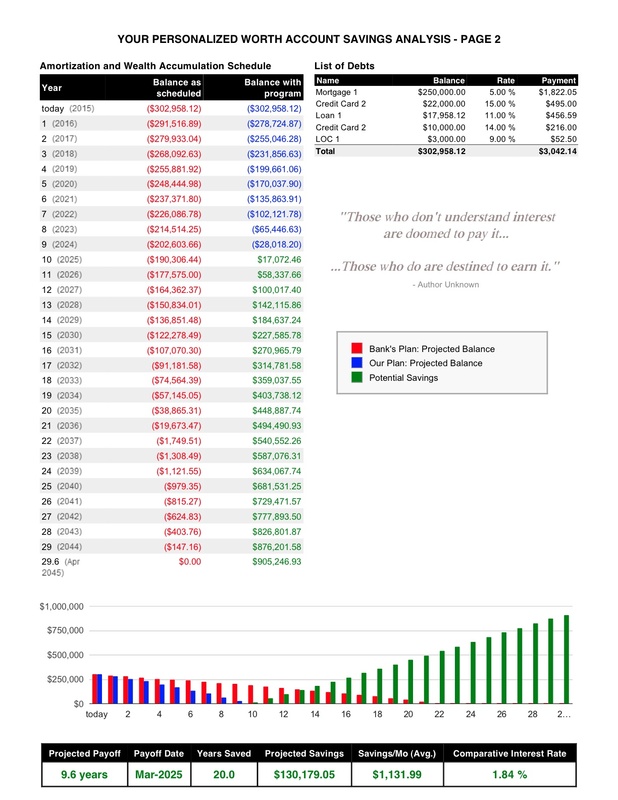 Worth Unlimited Indep Agent: What will YOUR Free Savings Analysis Look Like? 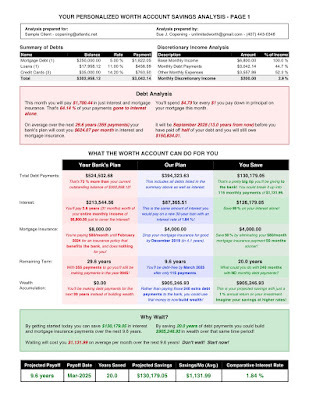 What will YOUR Free Savings Analysis Look Like? 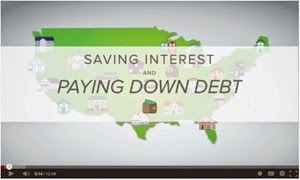 Our average client is saving over $100k -$120,000 in interest as they are getting debt free. Additionally, they are paying off ALL debt, including a 30 year mortgage, in an average of 7-11 years. What could YOUR savings be? Find out! 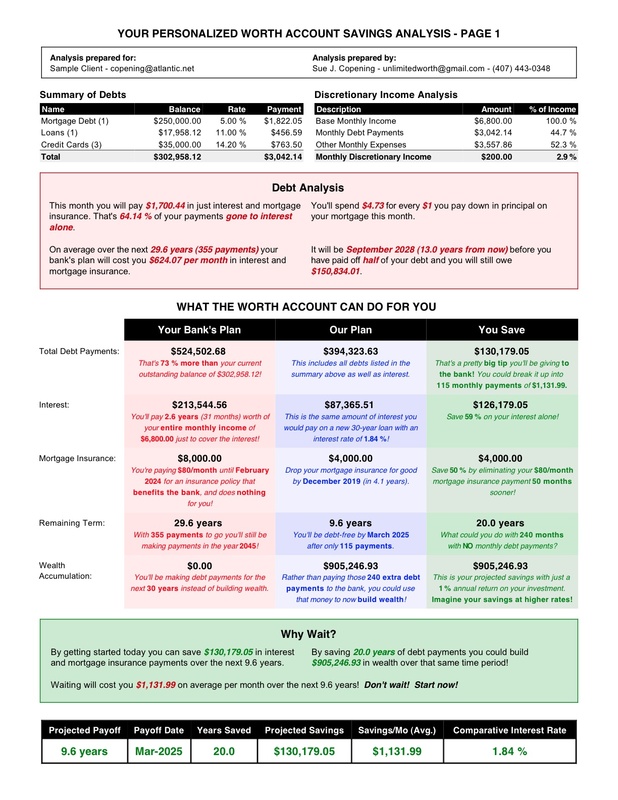 It only takes a few minutes to get your own free, personalized SAVINGS ANALYSIS showing you exactly when you could be debt free using the Worth Account. You don't need to give any information that would violate your privacy or that could possibly make you feel uncomfortable about "identity theft" ... and your call is confidential... like talking to your bank. What you do NOT need to tell us... no account numbers, social security numbers, names of debts and we don't run a credit check... in fact, even if you move forward and get our program, no credit check is needed. Ever. What we DO need... the amounts still owed on your debts, the interest rates, and the amount of your monthly payments. The only other thing we need is an idea of your "take home" pay and how much, if any, you have left over at month end. Are your finances super tight? Not a problem... as long as you are not consistently spending more money than you bring home, this program WILL work and WILL save you money! 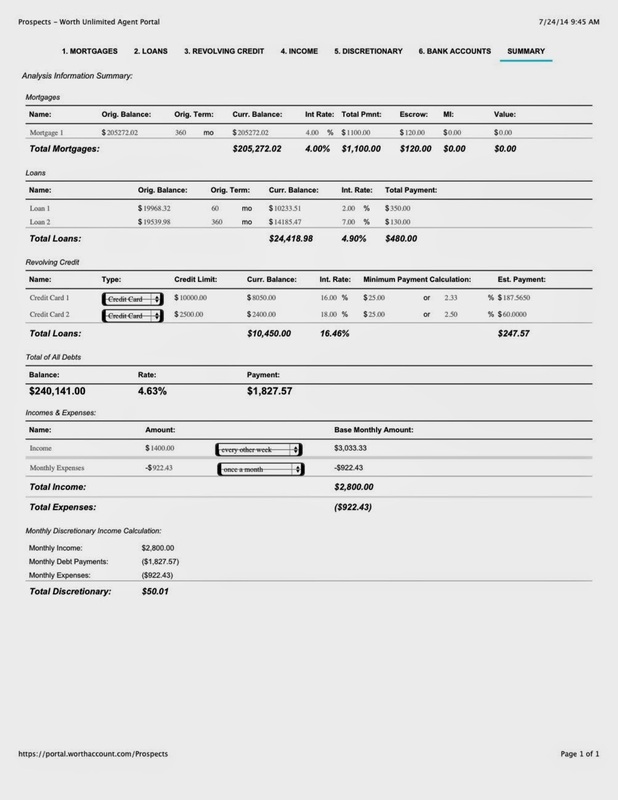 This "Sample Client" has the following debts and income... Note they only have $200.00 left over at the end of the month after paying all their bills. 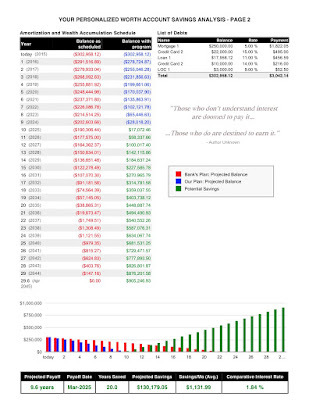 Want to see what YOUR savings will look like? 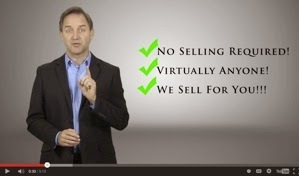 If you are an AGENT you can run your own report in the back office. Just click on your name and see "run Analysis" in the drop down. and I'll set you up for a FREE Savings Analysis Appointment!